The Fundacio Joan Miro is a popular museum in the Montjuic area. Here one can see a vast collection of Miro’s artworks in a beautiful museum conceived of in part by Miro himself and his friend, the architect Josep Sert. Miro desired to create a space that was appealing to young artists and one that would encourage them to experiment with contemporary art. 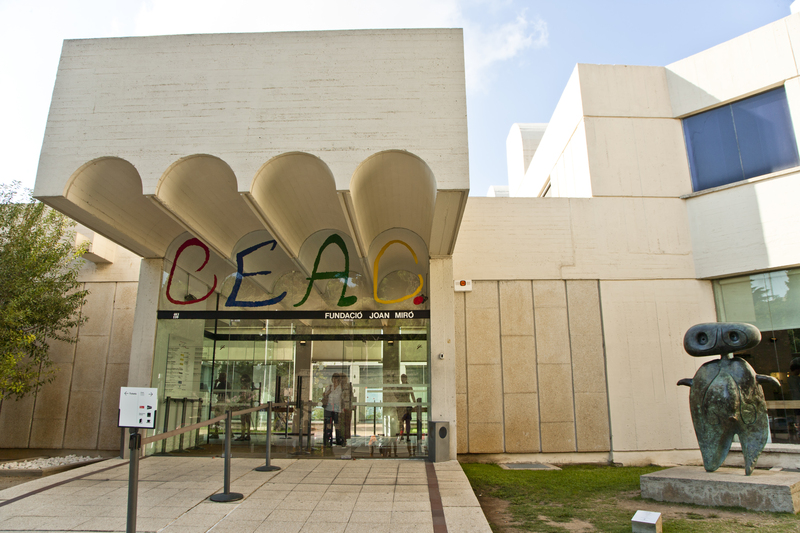 Included in the collection of artwork at the museum are paintings, sculptures, textiles, ceramics, drawings and prints by Joan Miro. Additionally in the permanent collection you will also find work by contemporary artists like Alexander Calder, Henri Matisse, and Robert Rauschenberg, among others. Miro was born in Catalan and his artwork is instantly recognizable around the world. Children of all ages will enjoy the large, colorful and graphic artworks here, and theon-site restaurant is also recommended. There are fascinating exhibitions here throughout the year. A fun way to get to the Museum would be a ride on the cable car. It might be helpful to point out that there are two cable cars and three mountain trains in Barcelona. These access Montjuic and Tibidabo, the highest points in Barcelona. 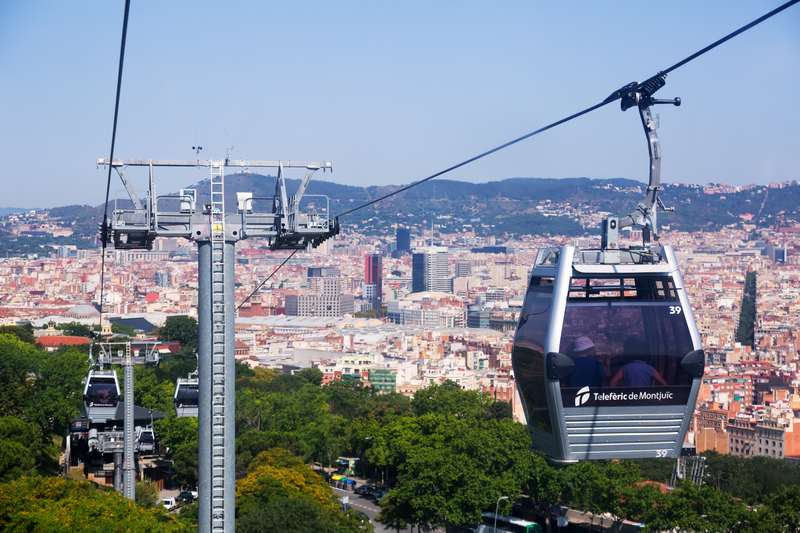 For a visit to Montjuic you will want to look into the Telefèric de Montjuïc option, which offers a breathtaking cable car ride that your whole family will remember. Teleferic de Montjuic connects Montjuic Castle and Montjuic funicular station. 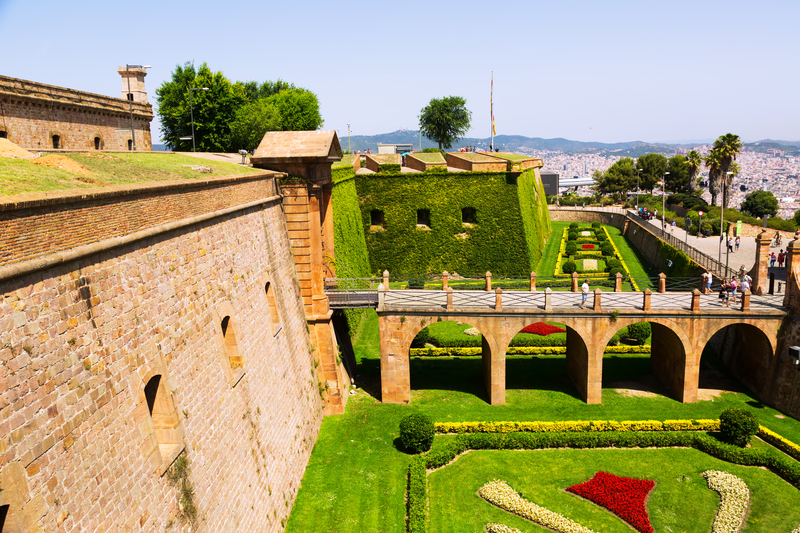 Another place to visit is the Montjuic Castle, a great spot for children. This 17th century fortress has a long history, but these days it also has a playground that includes two long slides which travel down a hill and some lovely gardens. There are old iron cannons that little ones can play on and a moat; surely this place will capture their imaginations. The views of Barcelona from Montjuic Castle are a big attraction too and something that will delight photo buffs. There is a snack bar here with indoor and outdoor seating options and if you are visiting during the summer, the castle holds outdoor cinema and has seasonal bars. Another landmark in Montjuic worth a visit is the Magic Fountain. 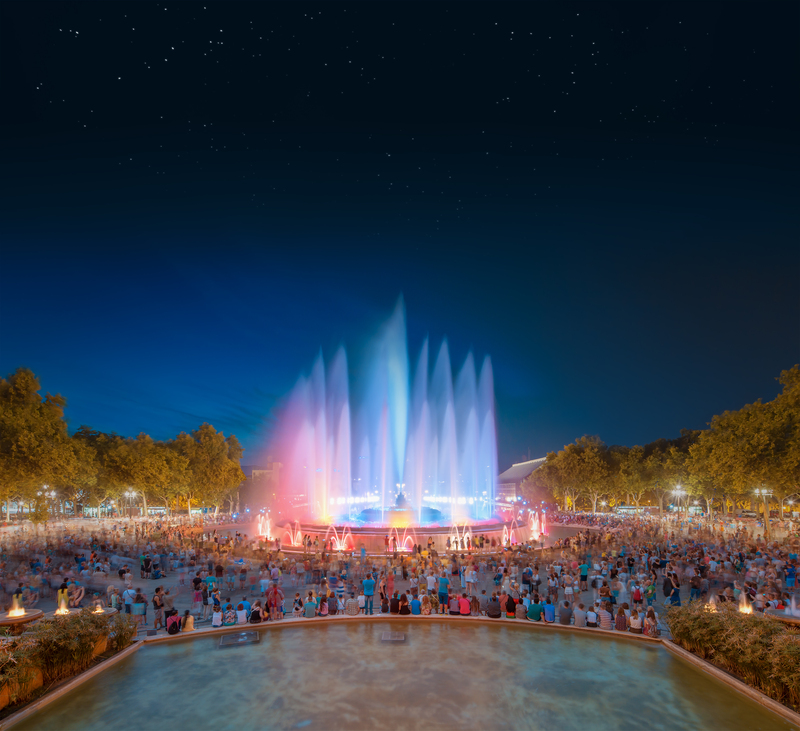 The fountain was created for the 1929 Barcelona Exposition, which was the second Worlds Fair to be held in Barcelona. At the time of its build, the Magic Fountain was considered too ambitious, and required several thousand men over a year, to build. Happily the ambition paid off and the final result still impresses visitors today! Hours of operation for the Magic Fountain show vary depending on the time of year, please ask your concierge or host for details. 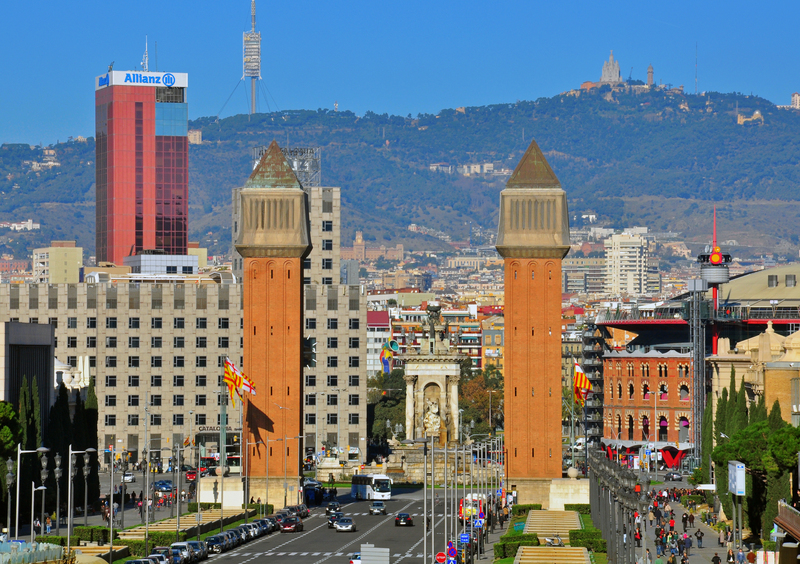 Enjoy your stay in our familial aparthotel Barcelona and its many unique neighbourhoods, such as Montjuic!